Toilets, Showers, Food, Pub, Limited Parking. Please note single use plastic cups are not provided for water. This race is both pre-entry (on-line up to 3 days before the race) and entry on the day. Details below: The race starts at 7:30 pm prompt on Tuesday 21st May 2019. The registration process will close at 7:10 pm. 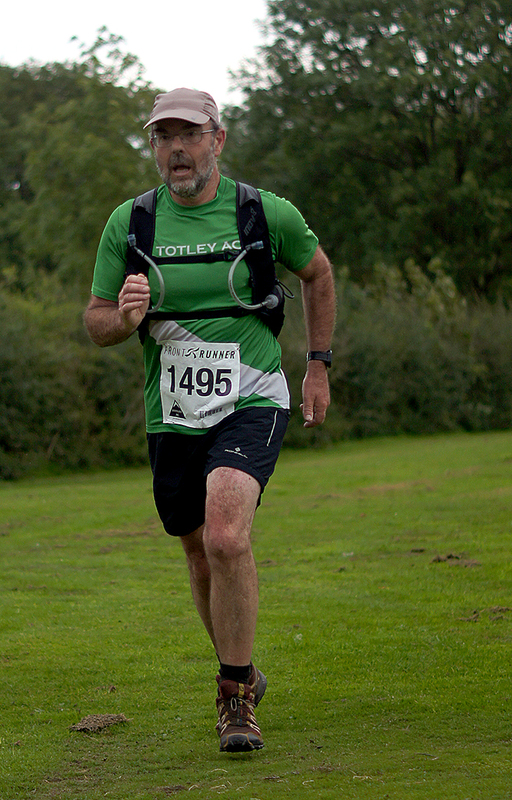 The race starts and finishes outside the Totley AC pavilion which is at the top of the field behind the Cricket Inn (GR302799 or S17 3AZ). On race day limited showers and changing facilities are available. 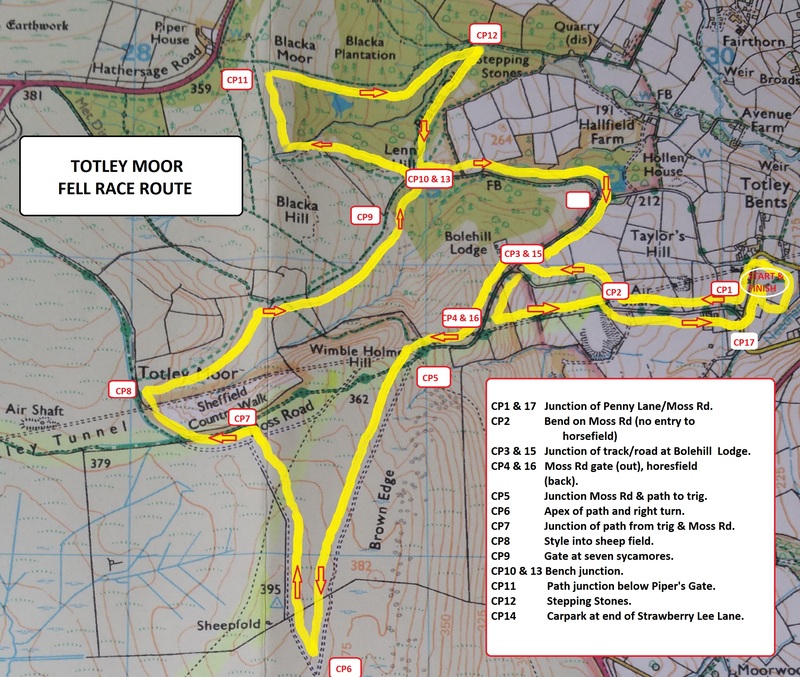 Totley Moor is the third race of the annual Totley AC series of five races and the route is over varied terrain including road, track and footpath through woodland, fields and open moorland. This is a challenging race with some great views (and some great climbs) and varied scenery. See the map for details of the route. All runners MUST remain on the paths designated on the route map and abide by the instructions given at the start of the race and by marshals along the route. This is a fixed route race as required by the race license issued by the Eastern Moors Partnership and Natural England. Any runners not abiding to the indicated route will be disqualified as none conformance with the license conditions will put the future of the race in jeopardy. Please make sure that you arrive in good time to register your arrival, have your kit checked and collect your number. Please allow sufficient time for parking (see below for details) and registration. This race is both pre-entry and entry on the day. To enter in advance, please enter online. The online entry facility will close 3 days before the race. 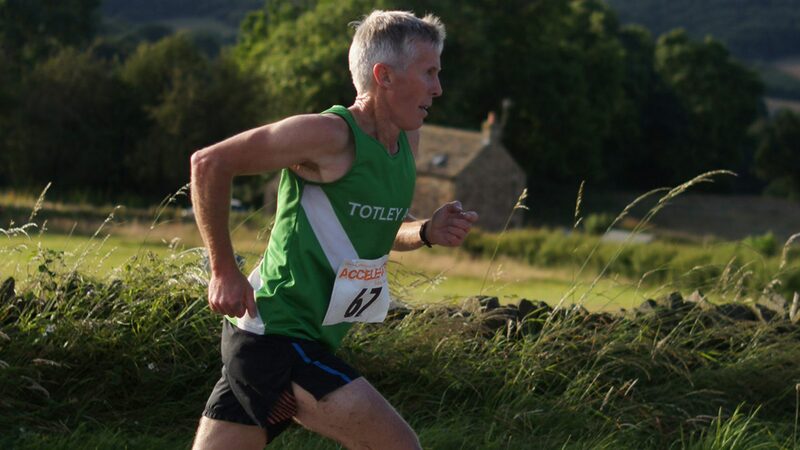 Pre-entered runners should collect their numbers at the Totley AC pavilion up to 7.10 pm on the day of the race. Runners entering on the day must have completed their registration by 7.10 pm. The registration desk will close at 7.10 pm prompt – so please leave plenty of time to register. You must neither start the race using a number obtained in someone else’s name nor give your number to someone else to use in the race. Checkpoints are marked on the map, usually we will have marshals at all check points, resource permitting. Runners must stick to the indicated route and pass all checkpoints in numerical sequence. CP4 & 16: Gate on Moss Road (left turn) and entry to horse field plummet on return. CP5: Junction of Moss Road and path running between pile of stones & trig. CP6: Junction before sharp right turn back on path back to trig and moos Road. CP7: Junction of trig path with Moss Road. CP9: Gate at ‘seven sycamores’. CP10 & 13: Sharp left turn (behind wall) at junction of tracks next to bench and then back up from Stepping stones and down to ‘sting in the tail’. CP11: Junction of Blackamoor path and Pipers Gate descent. CP12: Stepping Stones at bottom of Blackamoor woods. This race is held under FRA Rules and runners must familiarize themselves with and comply with the FRA Requirements for Runners 2019 (the “Runners’ Rules”). feet). Under the FRA definitions this means that it is a ‘Category B Medium’ race. This means that the kit that runners are required to carry is at the discretion of the Race Organiser, depending on the weather conditions. All runners should bring FRA Best Practice kit with them in case the weather is bad. A decision will be made on the evening. FRA Best Practice Kit (Waterproof whole body cover (taped seams and attached hood) + hat + gloves + map + compass + whistle + emergency food). All runners must carry the kit required by the Race Organiser. Mandatory kit inspections may be performed on race day. You will not be admitted to start the race unless you have passed this inspection. A further check may be undertaken on completion of the race – anyone completing the race without the required kit will be disqualified and reported to the FRA. Your race number must not be folded or cut down and, at the start, all checkpoints and the finish, must be clearly visible on your chest. Numbers may be recorded at some checkpoints as well as at the finish; failure to show your number at checkpoints will lead to disqualification. Road crossings will be marshalled but competitors are responsible for their own safety. Runners are not required to record their arrival at checkpoints in any way. The only requirement is that competitors must run past the marshals (without taking short cuts) with their race numbers clearly visible. Limited off road parking is available and will be signposted on the day. Once the car park is full limited on road parking is available but please consider local residents and avoid parking across or opposite any drives or gateways, or damaging grass verges. Leave M1 at Junction 33. Head towards Sheffield City Centre on A57, after Dual Carriageway becomes a 50 mph zone follow signs for Ring Road and Services. Turn left onto the Ring Road (A6102). Follow the Ring Road for 4-5 miles until you come to the Meadowhead roundabout (clearly signed). Go straight across and get in the right hand lane, which turns right after about 100yds (signed for Castleton and Bakewell). At the bottom of the hill, at the roundabout, turn left. At the traffic lights turn left onto Abbeydale Road which turns into Baslow road (A621). Follow this road until you get to Totley. Turn right after the Cross Scythes pub onto Hillfoot road and follow the road down to the Crown Inn. Turn left onto Penny lane, the Cricket pub is on the left before the playing field, and the Totley AC pavilion, where the race starts, is at the top of the playing field. Follow the Marshalls for parking directions. Please do not park in the pub car park. Leave M1 at Junction 29 towards Chesterfield, follow A61 to Sheffield until the Meadowhead Roundabout, turn left, then into right hand lane and then as above.